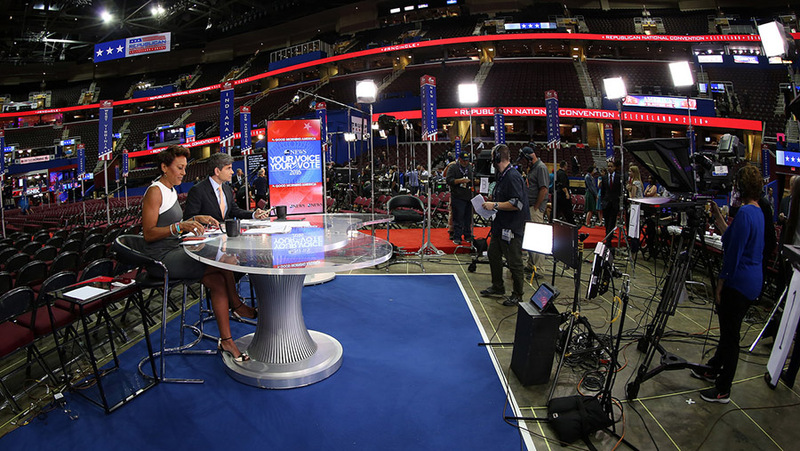 All of the network morning shows are originating from Cleveland this week for the Republican National Convention, each carving out their own look and setting. Here’s a look at the temporary sets. Similar to 2012, CBS brought their miniature “Eye” desk to the Quicken Loans Arena, where they’ve setup a makeshift work area for the show. 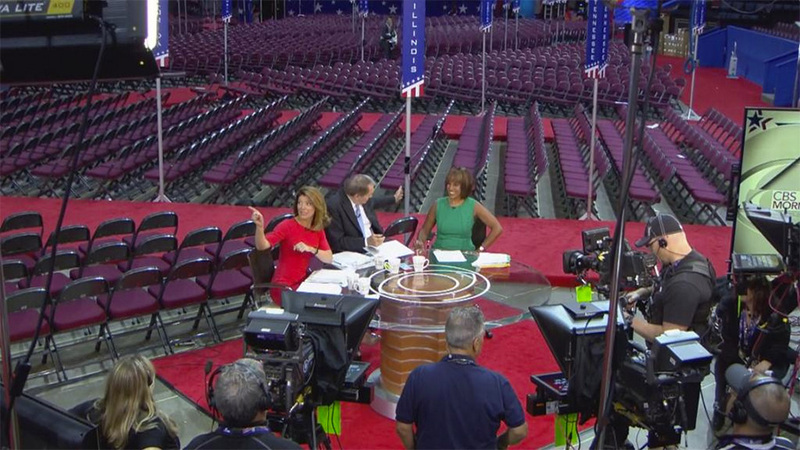 This means, of course, that the set has to be completely disassembled after each broadcast to allow for the daily activities of the convention’s delegates. 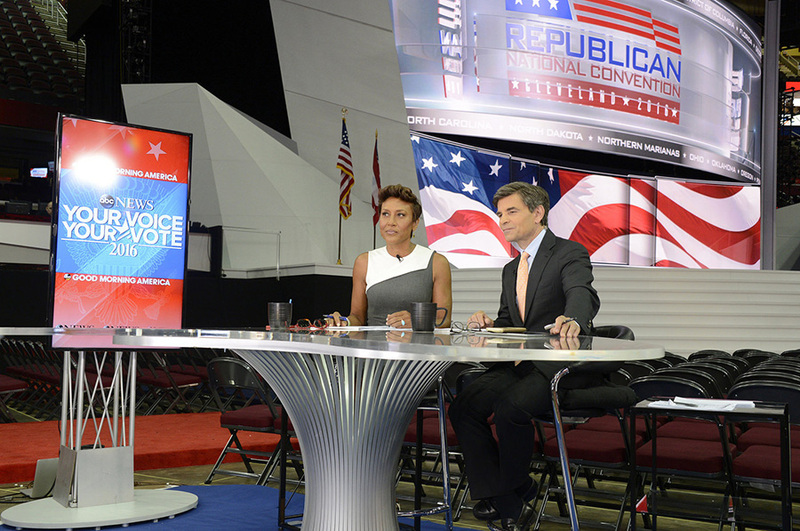 “GMA” has also setup a temporary set on the floor of the convention, bringing a large desk and two vertical monitors. 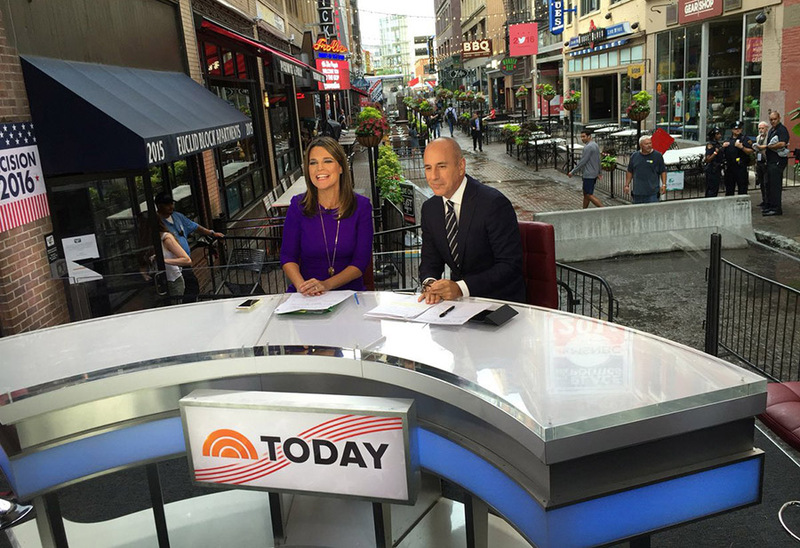 “Today,” along with MSNBC, have borrowed East 4th Street in downtown Cleveland, erecting a broadcast studio and large outdoor monitor for viewing of the events. Matt Lauer and Savannah Guthrie anchor from a small desk, with the rest of the “Today” team working around the stage. Throughout the day, MSNBC has also used the space for its dayside programs, such as the hours anchored by Andrea Mitchell or Tamron Hall. Bloomberg’s “With All Due Respect” is also located near this setup, with its studio inside the building next door.